“The real deal still is Black Friday. It still is the single best shopping day of the year.” Edgar Dworsky, founder of ConsumerWorld.org, told CBS Boston. While Black Friday is the busiest shopping day of the year for consumers, it’s also one of the most dangerous days for retail workers around the country. Work-related accidents are very common on the day after Thanksgiving as thousands of people wait for the early morning deals. Without the proper safety strategies and crowd control procedures workers can be injured in work-related accidents in Boston on Black Friday. Our Massachusetts workers compensation attorneys understand that consumers from around the state will be setting out early on Black Friday to snag some excellent deals. Employers are required to provide safe working conditions for all employees, and this includes on the busiest shopping day of the year. Employers are urged to get a plan together to help regulate crowds and how to best equip employees with the tools they’ll need to safely address Black Friday shoppers. Black Friday grows more and more popular with every passing year. The risk for injury has increased as well. Back in 2008, a worker even died at the opening of a Black Friday sale. The Occupational Safety and Health Administration offers employers some safety tips to help ensure everyone stays safe during this year’s big sale. With the proper safety precautions, companies can reduce the risks for work-related injuries. 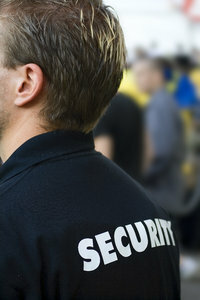 -If you’re expecting a large crowd, be sure to have the proper security or police on site. -Make sure you have enough employees on site and positioned strategically. -Train workers on how to handle large crowds before the event. -Designate a specific worker to call emergency responders when needed. -Make sure the premise is marked with appropriate signs indicating entrances, exits, opening times and locations of restrooms and sale items. -Create a plan to address the dangers that workers can face, including violent acts, fires, crowd control, crowd crushing, overcrowding, etc. -Place barricades in necessary areas, such as the front of the store and check-out lines. -All workers should be alerted when the store is about to open its doors. -Consider conducting a lottery for big sale items. -Make sure that shopping carts and other obstacles are placed in a safe place away from crowded areas. -Keep an eye on your building’s maximum capacity. -Provide the proper entrances for those with disabilities. -Always keep first-aid kits on hand. It’s important to keep Automated External Defibrillators (AEDs) as well as people who are trained to use them. -Instruct employees to follow instruction of authorized responders in the event of an emergency and to disregard company rules if they conflict. We can all have a safe and exciting Black Friday if employers keep these safety tips in mind. Happy Shopping! If you or a loved one has been injured at work or have a Massachusetts workers’ compensation claim, contact the Law Offices of Jeffrey S. Glassman for assistance. Accountability is the number one priority so call toll free at 1-877-617-5333 for a free appointment to discuss your rights.